Located in the gated and secure “Santa Clara Golf” urbanization, east of Marbella, this villa offers breathtaking views of the golf course to the Mediterranean. 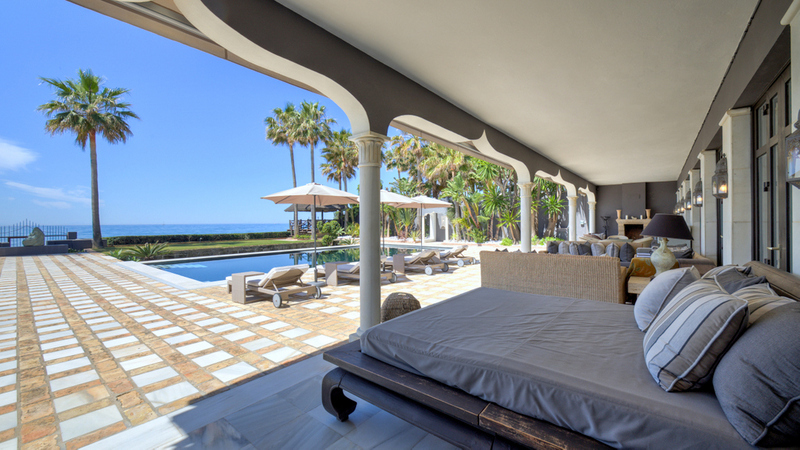 Built to highest standards with luxury materials and finishes and with an eye for elegance to satisfy the needs of discerning customers of Marbella. 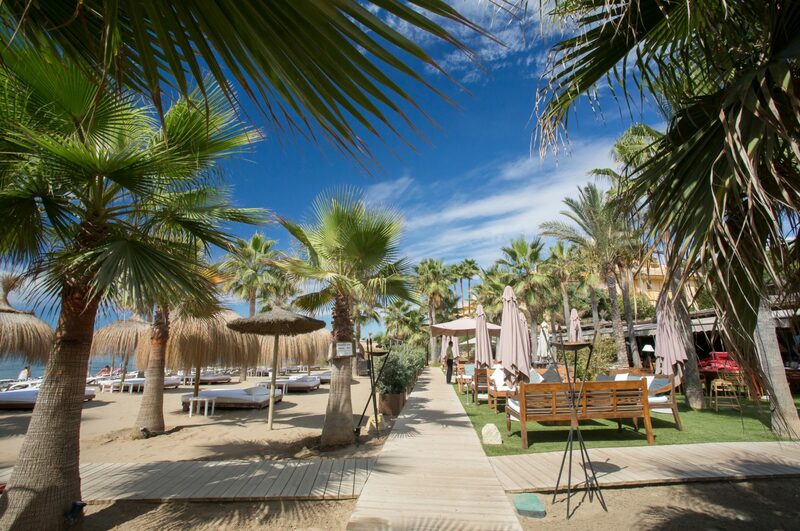 The best beaches of Marbella are just minutes away and the clubhouse with all its amenities is just next door. An imposing hall stands out for its luminosity and height, leading into the spacious living and dining room of 100m2, ideal for large receptions. A second more intimate dining room with wonderful sea views and a fully equipped kitchen, cellar and utility room, complete the living areas. Two bedrooms with bathrooms en-suite and dressing areas are located on the same floor. An elegant staircase or the private elevator leads to the upper floor with 3 master bedrooms with en-suite bathrooms and dressing areas. All with access to a sunny terrace enjoying panoramic golf and sea views with Gibraltar and the African coast on the horizon. The lower level of the villa offers a staff apartment, laundry and storage room, and a spa area with Jacuzzi, sauna, steam room, shower room and a gym. On the same level is a large closed garage for 5 cars. The outdoor pool is located in the west facing side garden of the villa offering spectacular sea views. Other features: air conditioning h/c, under floor heating, electric shutters, alarm, music system, double glazing, marble floors, elevator. 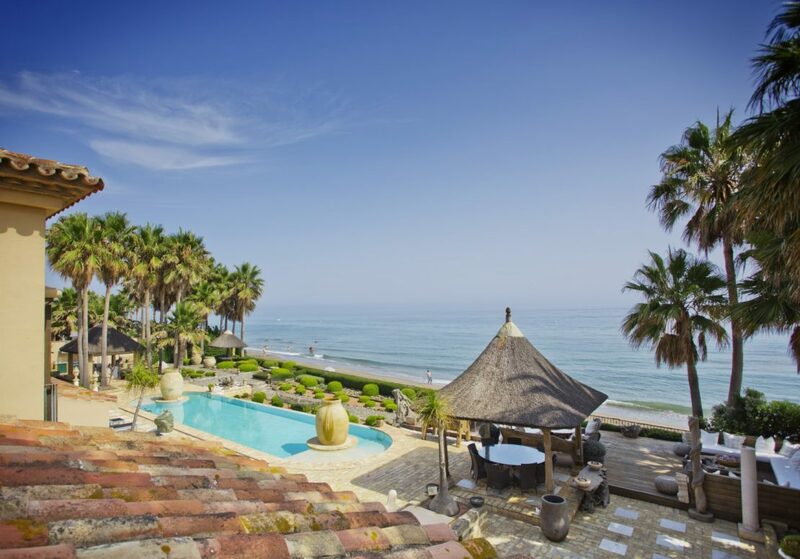 Please, send me more information about ref W-024970, Villa in Los Monteros, Marbella East or similar properties.